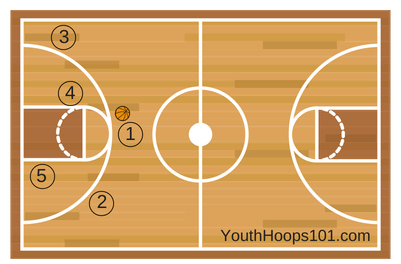 5 Positions in Basketball: Where Do Your Skills Fit? The court diagram below illustrates the 5 positions in basketball and their typical starting line-up. (1-point guard, 2-shooting guard, 3-small forward, 4-power forward, 5-center). Each position has unique responsibilities and requires a specific set of skills. It takes all five positions working together in their roles to make up a good team. Understanding the roles of each position helps players figure out where they best fit and helps coaches identify and develop players for each spot. There are a lot of needs on a basketball team. So, there's a need for all types of players. Successful teams are strong at each position. Teams that are deficient in any position are definitely at a disadvantage because well-coached teams will quickly figure out how to take advantage of their opponent's weaknesses. So let's take a closer look at each of the player positions. Keep in mind the statements below are generalizations. There are certainly exceptions to each of them. #1 - Point Guard - Usually the best ball handler. Often one of the shortest players on the team. Plays outside the lane, usually out near the top of the key. 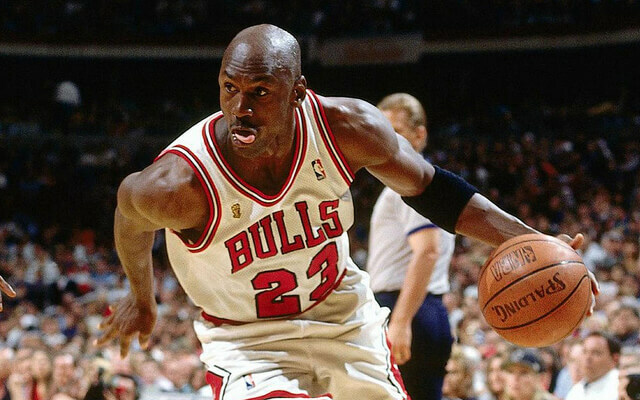 #2 - Shooting Guard (also called Off-Guard or Wing) - Usually the best outside shooter. 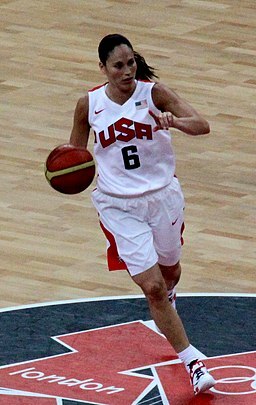 Plays out on the wing, usually from the free throw lane line extended all the way down to the corner on the baseline. #3 - Small Forward (also called Wing) - Usually the most athletic player on the team. Can play inside the key and outside. Plays on the opposite side of the court as the #2 player and covers the same area from the FT lane line extended down to the corner on the baseline. #4 - Power Forward (also called Post) - Usually one of the taller players on the team. Strong rebounder. Moves throughout the lane, sometimes playing near the top of the key, posting up down low, and also popping out to the baseline. #5 - Center (also called Post) - Usually the tallest player on the team. Good rebounder and scorer inside. Plays mainly in the lane at both high and low post. Remember, these are guidelines. Every team is made up of unique individuals with unique body builds, athleticism, and skills. As a result, coaches have the sometimes difficult task of figuring out how to best fill each of the positions to capitalize on individual strengths. Many players find that they are best suited for only one of the positions in basketball. 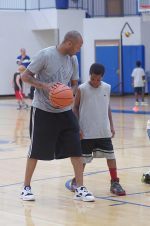 However, there are some versatile players that may have the opportunity to play a couple of different basketball positions depending on the needs of their team. Sometimes the #1 and #2 players are interchangeable, as well as the #2 and #3, the #3 and #4, and the #4 and #5 players. Aware of situations and circumstances like the time on the clock, score, timeouts, fouls, etc.